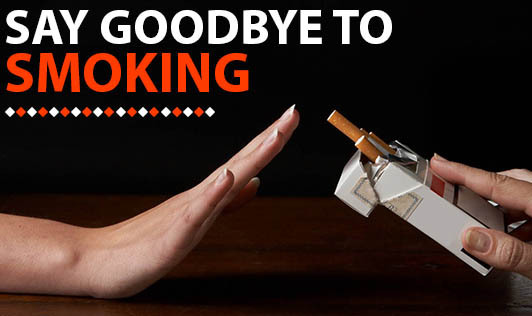 Quitting smoking might be hard for you and you might have gone through many failed attempts. Listed below are a few suggestions that might put you back on the road to quit smoking. Do share it with your smoking buddies. Give yourself a target date to stop smoking completely. This might prepare you mentally, as the time for quitting approaches. Discard all cigarettes and smoking accessories. Avoid smoking triggers like coffee and alcohol. Don’t visit places like clubs, bars, etc. that increase your urge to smoke. When you feel the urge to smoke, distract your mind with another activity. Read, walk, talk to a friend, work on your hobby, etc. De-stress. Exercise, meditate, breathe deeply or take a massage. Spend more time with family, friends and colleagues. Do not be alone for long periods of time. Chew on something healthy when you feel the urge to smoke. Put aside the money that you save by not smoking. After a while buy something nice for yourself with this saved money. Be patient and stay on track. Quit smoking not only for yourself but also for your loved ones.